SHW were delighted to recently conclude the sale of Russell House. 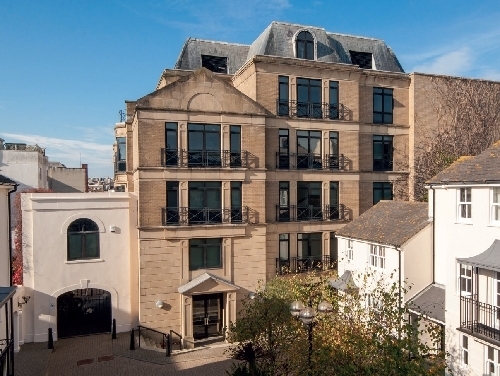 There was very strong interest for the freehold of this Grade A 34,000 sq ft office building situated less than a five minute walk from the seafront in a sought-after city centre location. Prior to the sale we made an application for residential conversion under Permitted Development Rights. There was strong interest from both residential developers and office investors/occupiers. The property was also ideal for a variety of other uses (STP) including student accommodation or medical and interest was seen from these sectors too. SHW were confident there would be a lot of interest in Russell House, however the amount of bids exceeded everyone's expectations. The property was sold to a residential developer, which will mean the future of Russell House will now play a part in assisting the continued housing shortage in Brighton and Hove. However it also means 34,000 sq ft of office space has been removed from the market. Brighton is currently experiencing the lowest amount of office availability for the last ten years which is causing difficulties for expanding occupiers in the city, especially because a vast amount of the available stock is not Grade A quality. It is encouraging that we have 40,000 sq ft currently being extensively refurbished at Mocatta House, Trafalgar Place and will be ready for occupation in February 2017, this is much needed in the market. Emma Hards, Agency Director for SHW said: "It was very interesting to see how the sale of Russell House unfolded, it was a very close call between remaining in office use and going residential, the sale has been a useful barometer of property trends within the city. We are now excited to be bringing Mocatta House to the market and perhaps even welcoming some new businesses to Brighton & Hove."